This painting was a response to the sudden awakening and explosion of nature in Britain when the sun finally comes out. 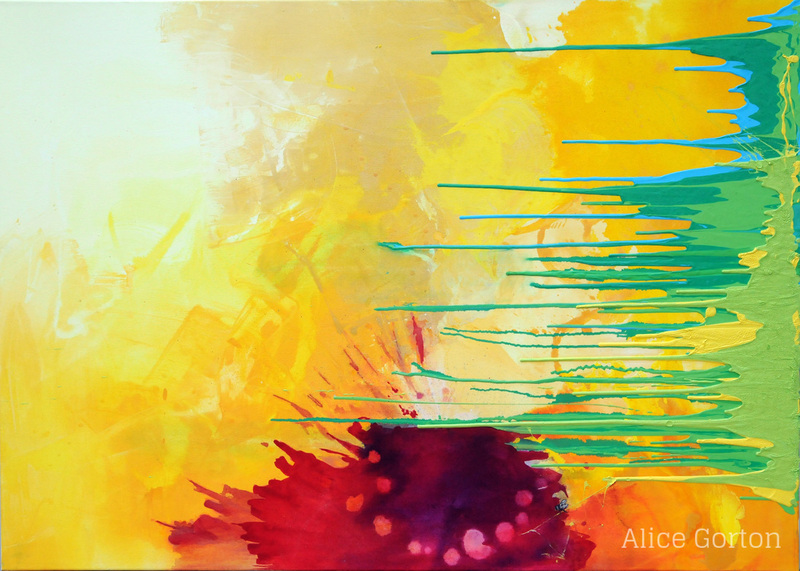 This painting is full of optimism and abundance, both through colour and method. I also played with the abstract and figurative as a way to create playfulness, using a small bumble bee as a counterpoint to the vast expanse of colour. The green pours seem to be growing across the painting, reflecting the plant life searching for the sun.